St Marie’s Heritage Group are very proud to present a Heritage Talk at St Marie’s by Arthur Whimperley on The Childe of Hale. Saturday 14th November 2015 starting at 14.00 prompt. 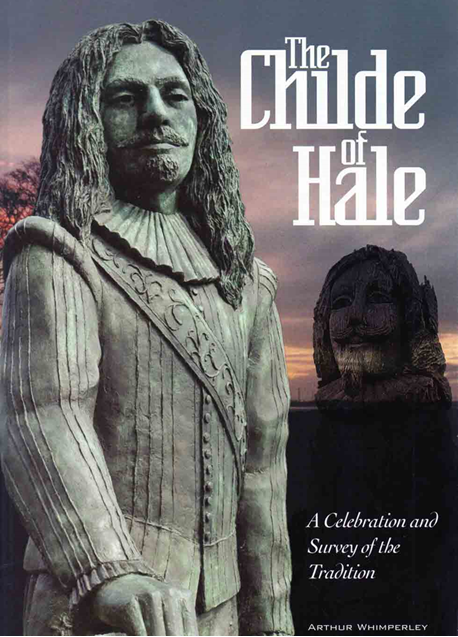 Arthur has recently published a magnificent hardback book about the local legend, “The Childe of Hale”. In this talk, Arthur will be explaining how the book came about and why he felt this was an important story. We’ll be looking at the legend and mythology behind The Childe of Hale and answering the questions: How much is fact? How much is fiction? Arthur is a very knowledgeable and engaging speaker and this is sure to be an entertaining afternoon full of interest and debate. Come along and enjoy a heritage talk in the wonderful atmospheric St Marie’s on Lugsdale Road. To book your free place at the event, please e-mail Matthew Roberts on mroberts@haltonsthelensvca.org.uk or telephone (01928) 592 405. Arthur will be selling (and signing) copies of his superb new book on the day too.